Tax Day is April 15, 2019. Americans will file their tax returns for all income received in 2018. Want to know what your taxes pay for, and who pays what? Get your personalized tax receipt, or see an average tax for your state. Read our "Seven Tax Facts for 2019." 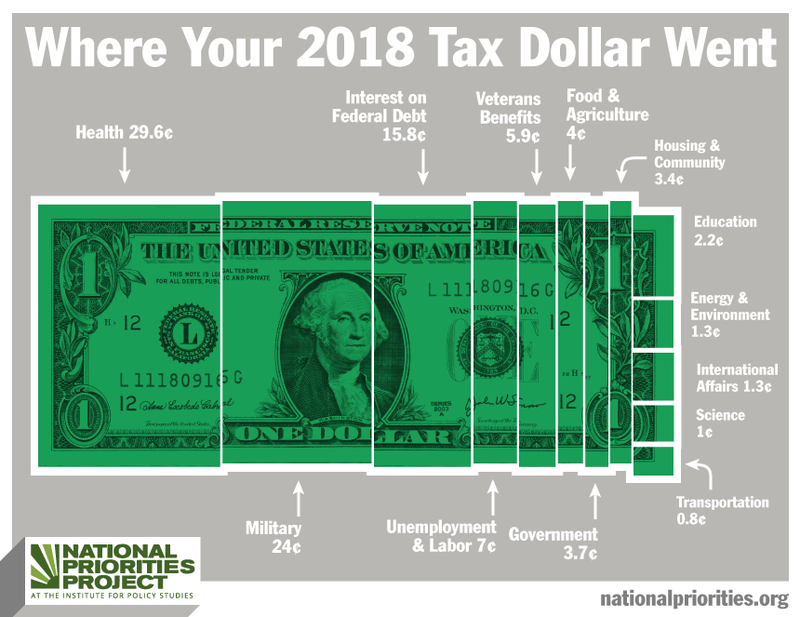 Read our key findings about where your tax dollar was spent in 2018. Don't like your tax receipt? Make your own federal spending choices. Tweet or share graphics from our Social Media Toolkit. Read our Tax Day notes and sources.